Grew up with KK Croatia Line Rijeka (Croatia) youth teams. Made his debut with KK Croatia Line Rijeka during the 1995-96 season. Signed for the 2000-01 by KK Triglav Osiguranje Rijeka. Moved to Slovenia for the 2002-03 season, signed by BC Olimpija Ljubljana. 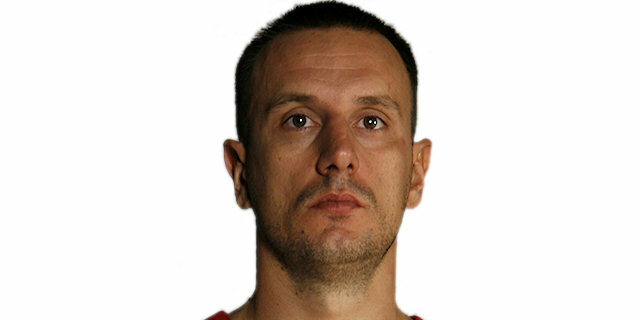 .on March'06 back to Slovenia, signed by BC Olimpija Ljubljana. Moved to Spain for the 2006-07 season, signed by Vive Menorca. Moved to Croatia, signed for the remainder of the season by Cedevita Zagreb. Won the 2003-04, 2004-05 and 2005-06 Slovenian National Championship with BC Olimpija Ljubljana. Won the 2013-14 Croatian National Championship with Cedevita Zagreb. Won the 2003 and 2005 Slovenian National Cup with BC Olimpija Ljubljana. Won the 2003 Slovenian Super Cup with BC Olimpija Ljubljana. Played the 2001 and 2002 Croatian All Star Game. Played the 2004 and 2005 Slovenian All Star Game. Led the 2001-02 Adriatic League in scoring (26.6 ppg.). Led the 2001-02 Croatian League in scoring (26.3 ppg.). Led the 2003-04 Euroleague in free throws shooting percentage (91,7%).